Driving up the winding road to Bouchard Finlayson, one can’t help but notice the sheer elegance of the estate. Meticulously planted vineyards hug the contours of the hills. The surrounding lawns are lush and manicured. The pillars of the tasting room are naturally clad in precisely cut creeping Jasmine. The whole estate speaks of care, intent and the pursuit of perfection. 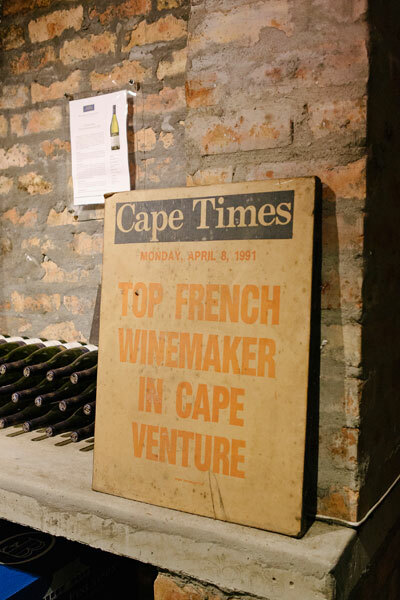 It is one of South Africa’s elite and most awarded boutique wineries, but it wasn’t always like this. 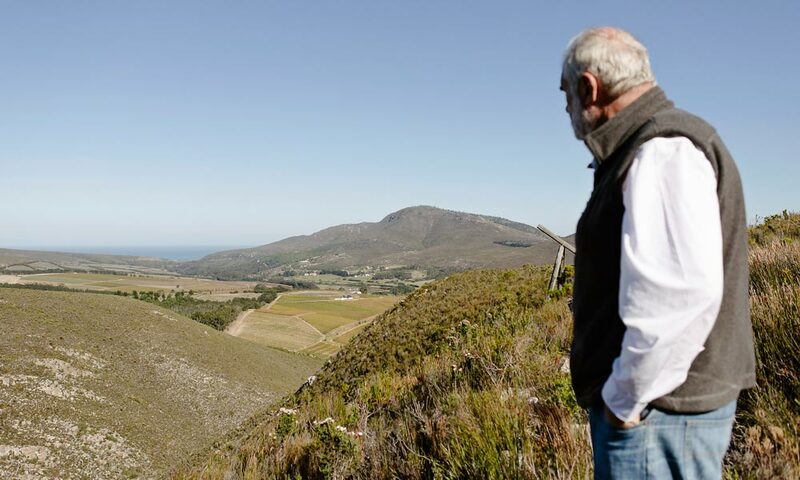 In 1989 a determined Peter Finlayson set foot on his newly acquired 125-hectare farm in the Hemel-en-Aarde Valley. The land itself may have been majestic but there was little more on it than sheep, baboons and mielies. The purchase was a bold step that promised hardship, but Peter is not one to back down from a challenge. He had just spent the last ten years in the valley setting up the first modern-day winery, specialising in the notoriously difficult Pinot Noir grape. He had also just been named Diners Club Winemaker of the Year, and he felt the time was right to strike out on his own. As fate would have it, the accolade included a trip to Oregan (USA) and the Burgundy region of France – an area famed for its Pinot Noir wines. There he met and stayed with the renowned wine personality, Paul Bouchard. The two forged a lasting friendship and joined forces to create Bouchard Finlayson. Fast forward many years later, and today the winery is owned by the Tollman family of the Red Carnation Hotel Collection. 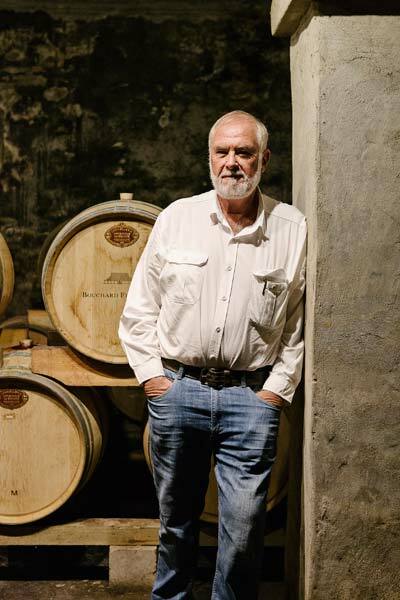 Peter stayed on as the founder, cellar master and face of the brand. 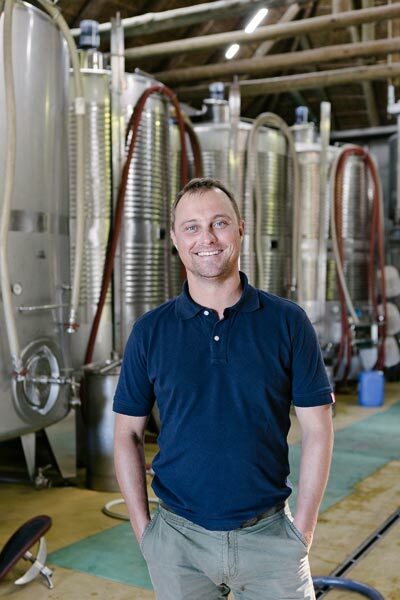 He has since handed the winemaking reins over to the very talented Chris Albrecht. 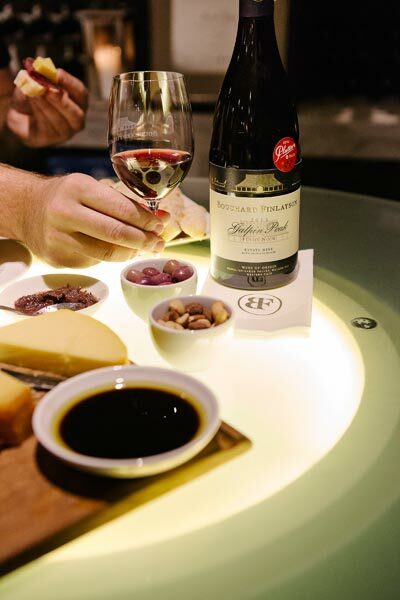 With the support of the Tollman family, Bouchard Finlayson is credited with putting Hermanus on the map as a world-class Pinot Noir destination. The interesting thing about Pinot Noir is that it’s probably the most romanticised wine in the world. It has given birth to legions of followers and they’ve been described as the most passionate of all wine lovers. Part of the allure lies in the fickle nature of the varietal. It grows in tight cone-shaped clusters making it susceptible to disease. It has a thin skin for protection and it needs optimum growing conditions of warm days and cool evenings. But despite all these complications, Pinot Noir continues to capture the imagination. It’s complex and mysterious in nature. It has the ability to produce intense flavours without heaviness of body. It is also known for producing a range of drinking experiences, from light, fresh and fruity, to intense, spicy and earthy. Peter’s years of experience give him the ability to take a grape affectionately known as ‘heartbreak grape’ and turn it into something magical. He likens Pinot Noir to opera in that when it’s great, it’s incredible but when it’s average, well, it’s hard on the ears. On his winemaking philosophy, Peter describes the process as a sport. Harvest dictates the start and to succeed you need instinct, artistic flair and appreciation for poetry. He views each wine as a new child and his duty is to develop their full potential. To say that Peter has a love for Pinot Noir would be putting it lightly. 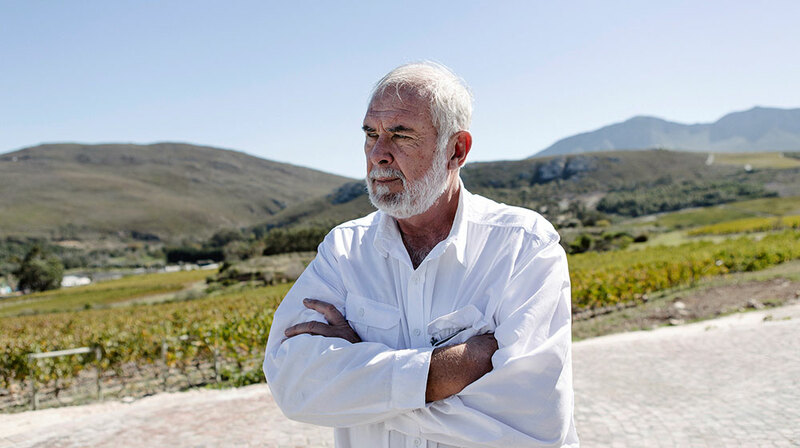 He’s dedicated his life to it and is the true pioneer of South African Pinot Noir. The vineyard has built their reputation on Pinot Noir, but they also produce outstanding Chardonnay, and the unique Hannibal – a Sangiovese and Pinot Noir blend. The valley’s temperate climate and the cool breeze of the Atlantic Ocean provide ideal growing conditions. Couple that with dense clay soils and you’ve got the makings of greatness. The grapes ripen slowly to produce rich, complex flavours. The vineyard also employs the method of high-density planting. 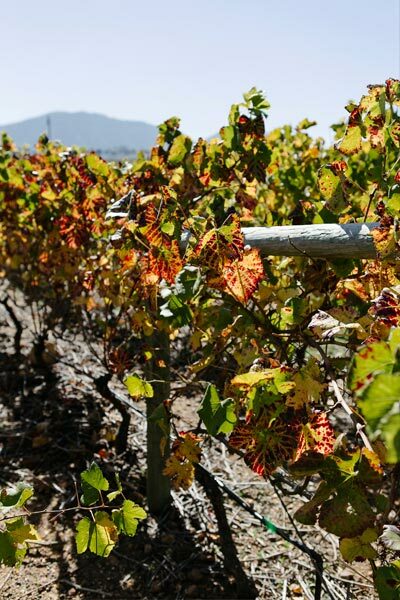 This produces lower yields from individual vines but improves the fruit concentration. It’s the way the French do it in Burgundy, and it’s one of the reasons why they still produce the world’s finest Pinot Noir. Even though the farm is 125 hectares, only 25 of it is under vine. The remaining 100 hectares, which stretches all the way up the Galpin Peak and Tower of Babel mountain ranges, is protected fynbos. The estate is a recognised World Wide Fund for Nature (WWF) Conservation Champion. For more adventurous visitors, there are a variety of walking trails ranging for easy to intermediate and expertly guided by Frank Woodvine. 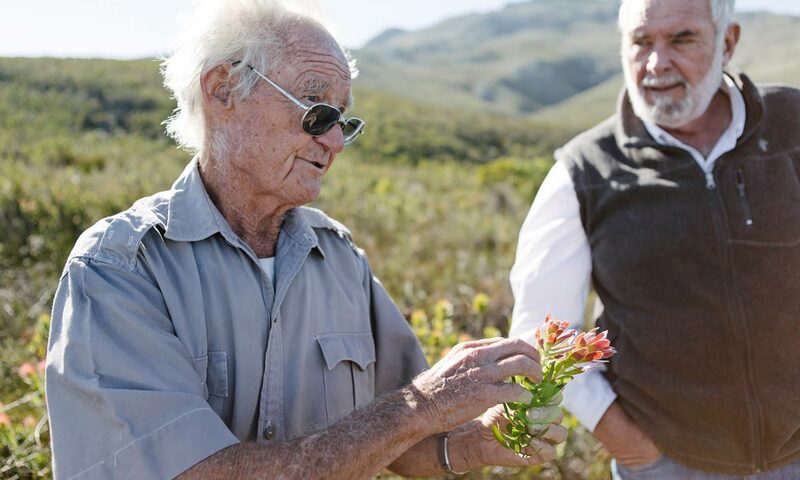 Frank is the resident legendary botanist who, amongst other tasks, deals with the problem of invasive plant species on the farm and protecting the natural fynbos vegetation. The estate boasts more than 306 identified plant species, some of which were thought to be extinct in the Hermanus region. Hikers also have the chance to see a variety of bird life and small mammals. If you’re really lucky you might even see footprints of the rare Cape mountain leopard. If you’ve got time to spare then opt for the longest route and enjoy a picnic with a glass of wine at Galpin’s kloof waterfall. 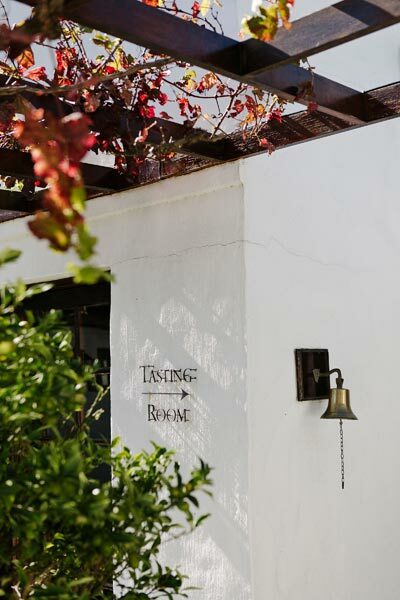 Back at the tasting room, the architecture combines old world Cape charm with modern innovation. 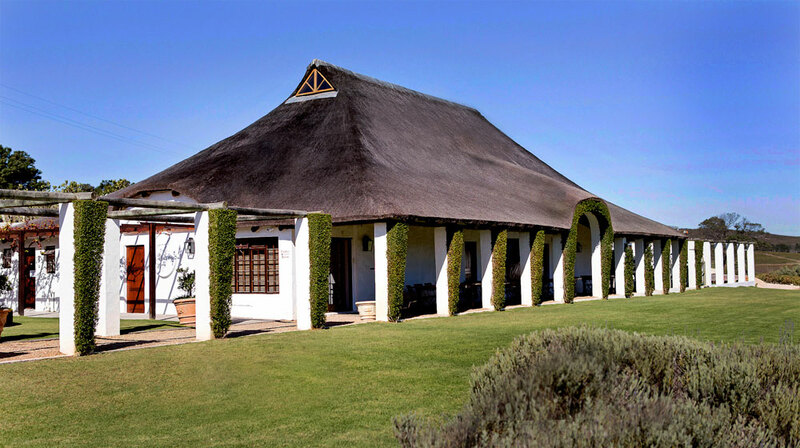 The thatch roof regulates the temperature of the tasting room and the interior is cosy and inviting. Brick walls and archways create an intimate atmosphere, which is further enhanced by the soft flicker of candlelight. 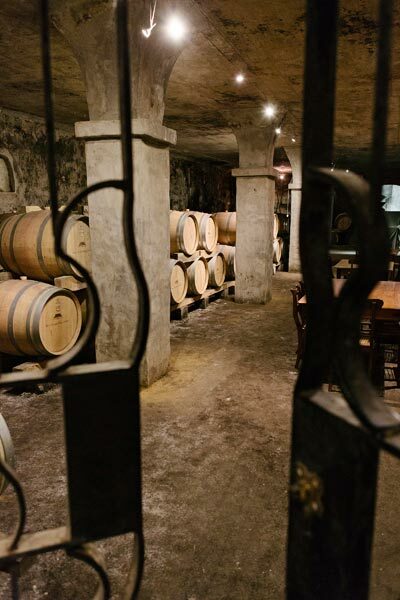 The tasting room leads down into the natural earth floor cellar, and aromas of packed soil and wood hang in the air. Red wine barrels line the walls but perhaps the most striking feature in the room is a piano on a stage. Every month in summer and bi-monthly in winter, the cellar plays host to the Hermanus Music Society with performances on Friday evenings. 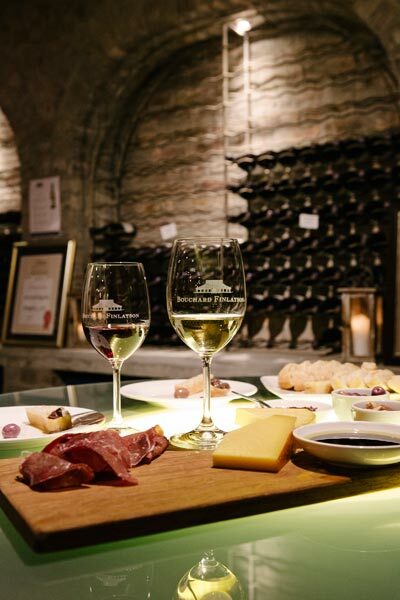 The tasting room offers a selection of the latest vintages with the standout wines being: Missionvale Chardonnay, the unique Hannibal blend, and the acclaimed Galpin Peak Pinot Noir. Each wine is as rich in story as they are character. Missionvale is named after the historical site on the estate where the Moravian Missionary doctor, Peter Leitner, set up a mission hospital in the 1800s. 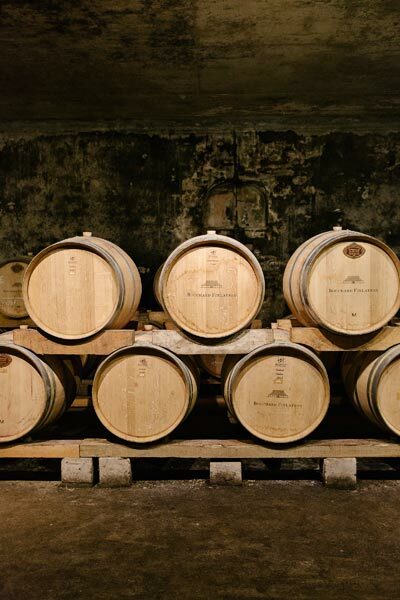 The vintage is 100% barrel fermented and matured with the traditional 30% new French oak. It contains a myriad of taste sensations ranging from creamy yeast and mild wood notes, to layers of vanilla, apricot and cantaloupe. The Hannibal red blend was a dream that started in 1989 with Peter’s importation of Sangiovese and Nebbiolo plant material. The vines were planted in 1994, with the first grapes harvested in 1997; a total of 12 years before the first bottle was produced, namely the 2001 vintage. It is a fusion of French and Italian wine influence and is named after the Carthaginian general, who famously crossed the Alps from France into Italy with African elephants. It is a complex blend of racy fruit, with a subtle bouquet of flowers and prunes. Galpin Peak Pinot Noir is named after the mountain peak which stands sentinel over the estate. Every vintage is a masterclass in Pinot-crafting that celebrates Bouchard Finlayson’s terroir. 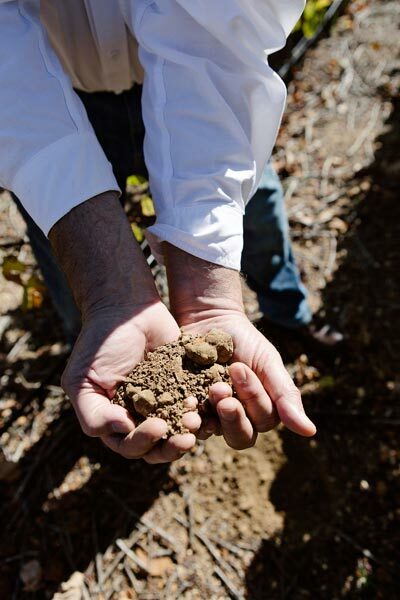 For nearly 30 years Peter has tended this unique combination of soil and climate to produce some of the finest Pinot Noir South Africa has to offer. Expect rich fruit flavours of raspberry and plum with luscious soft tannins. For the ultimate connoisseur experience, the estate has two unique offerings. The first is a tutored tasting of a selection of Pinot Noirs from the cellar. It is a truly special experience that showcases the maturation potential of the wines. The tasting includes cheese and charcuterie platters and is only available by appointment. The second is a collection of ‘Peter’s Picks’. 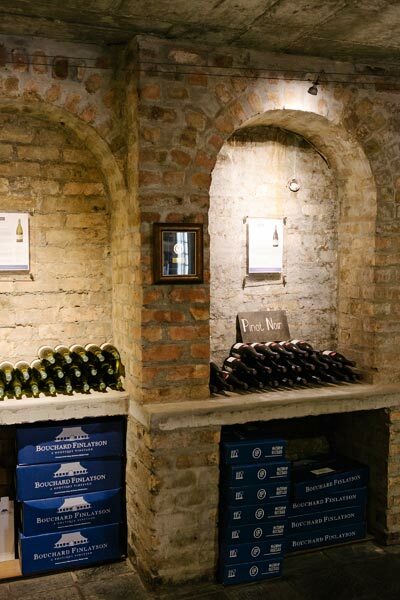 Vintage gems are plucked from the cellar, where they have been kept in the best possible conditions. The collection changes periodically and one can expect the best of the best from Bouchard Finlayson’s award-winning history. 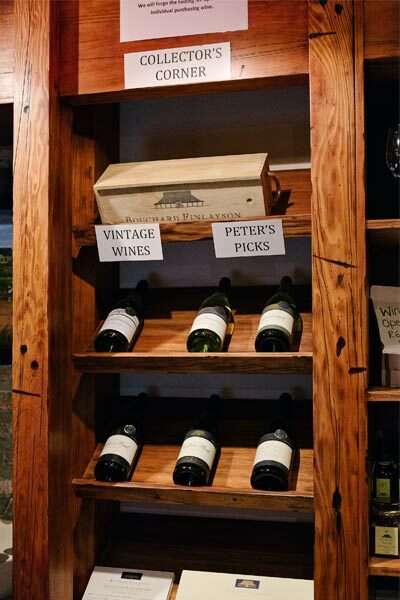 Whether you are a wine novice or a connoisseur, the estate has something for everyone. Guests are encouraged to pause and appreciate the wines. 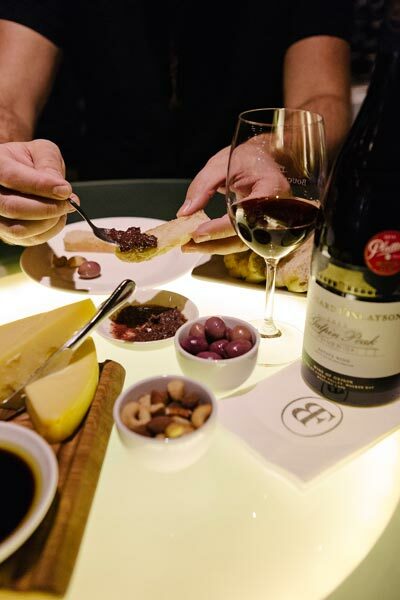 Should you get peckish, the tasting room offers cheese and charcuterie boards. During summer the terrace is perfect for pondering life with a glass in hand, while indoor fireplaces provide cosy corners in winter. Bouchard Finlayson truly is a world class wine destination and it’s right on our doorstep in the Hemel-en-Aarde Valley. Hungry for more? Subscribe to our newsletter.